Look in any woman’s wardrobe or closet and you are always going to find a few staples in there, from a little black dress through to a few bikinis, formal dresses, high heels and a favourite warm and comfy winter jumper! But how often have you taken an item of clothing out of the wardrobe and actually given some thought as to where it came from and who helped to make that style popular? Read on and you might learn a thing or two! If there is a holiday on the cards then you are never going to leave home without at least one bikini from M&Co. For many women around the globe it is a fashion staple and the only type of swimwear that they own. The two-piece design provides minimal coverage of the body, and while the origins of the garment can be traced back to the Greko-Roman period, the modern bikini really came to prominence in the middle to the 20th century. By the 1940s, two-piece swimsuits had become commonplace on the beaches of America and it was in 1946 that Frenchman Louis Réard coined the term bikini. The car engineer noticed that women lying on the beaches of St Tropez were rolling up their bathing suits in order to get a better tan – prompting him to come up with a design using four small triangles of material and a few small straps. Réard named his swimwear after the US nuclear test at Bikini Atoll in the Pacific in the belief that it would cause a similar sensation – he was correct! 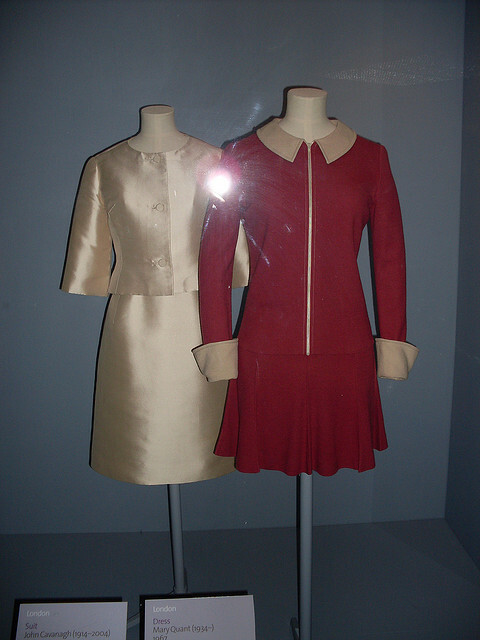 Small items of clothing tend to create quite a stir, and back in the 1960s it was rising hemlines that got more conservative members of the public hot under the collar. One name that is synonymous with the miniskirt is Mary Quant. Although it would not be right to say that she invented the miniskirt, from her boutique on the Kings Road in London, Quant certainly played a leading role in popularising the daring style. Paul Bates is another name that is closely associated with the style. He is perhaps best known for designing outfits for Diana Rigg to wear for her role as Emma Peel in The Avengers television series. French fashion designer André Courrèges is also linked to the miniskirt and again it is fair to say he played a leading role in the introduction of the fashion. If you’re not lucky enough to live in a country where the sun is shining all the time then it’s likely you’ll have a raincoat in your wardrobe. But who came up with the idea first? Charles mackintosh’s design from 1923 is the answer. The Scottish chemist used naptha, obtained as a by-product in the distillation of tar, along with india-rubber to waterproof fabrics. Invention doesn’t simply stop however. There are plenty of designers out there now trying to find new styles and create new trends – even in the world of raincoats!